In the paper, water waves generated by a source moving along the bottom of the basin are considered. The complete system of equations for water waves is very complicated and does not have an exact solution at present. Assuming that the change of the bottom function is slow, the authors of the paper [S. Yu. 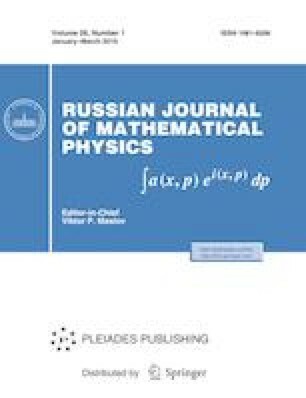 Dobrokhotov and V. E. Nazaikinskii, RJMP 25 (1), 1–16 (2018)] showed that the linearized system of hydrodynamic equations is reduced to a pseudodifferential equation on the surface of the liquid, and the unknown function in this equation is the elevation of the free surface. Assume that the source of the waves is localized in the vicinity of a point moving along the bottom of the basin at a speed less than the speed of the long waves. Assume also that the time of motion of the source and the horizontal sizes of the source are sufficiently small, and, during the motion, the source changes its shape and also changes its velocity. We show that, under some conditions, the last assumption leads to the occurrence of waves on the surface of the liquid with a wavelength approximately equal to the product of the typical speed of long waves in the vicinity of the place where the source moves and the time of its motion, which exceeds the size of the source. In this way, one of the possible mechanisms for generating the so-called landslide tsunami waves can be described. In this paper, we consider the situation with a single horizontal spatial variable. The work was supported by the Russian Science Foundation (project 16-11-10282).